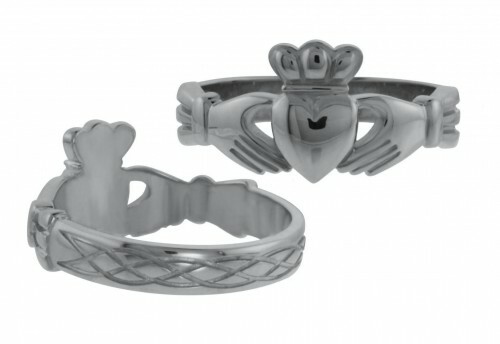 A stunning ladies Claddagh Ring with a Celtic Weave Band. Worn on the right hand, crown turned inwards, your heart is yet to be won. Worn on the right hand, crown turned outwards shows a special commitment to someone. Worn on the left hand, Crown turned outwards, Let our love and friendship reign forever, never to be separated.